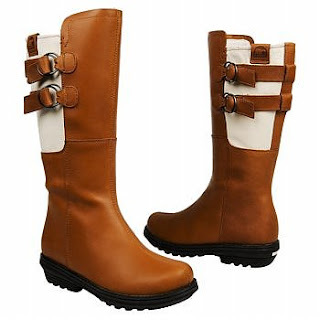 Winter Fashion Solution: Sorel Boots, 'Cause Baby It's Cold Outside | Fashion. Style. Beauty. | Life is short. Live well. I have to admit that as a girl who grew up in the mountains, I’m not afraid of a little snow but throw in layers of black ice and snow drifts on the sidewalk and it can make navigating the urban jungle a little more complicated than I’d like. I’ve gone through two pair of boots in the past few years and have slipped in both so when a little box of heaven arrived from the good folks at Sorel recently for me to test, I was more than eager to give them a shot. A removable molded footbed designed for maximum comfort and …. I’ve tested these babies in snow drifts and on sidewalks laden with ice and I can report that not only are they stylish but they kept me from my usual slip-and-fall winter routine. Warm boots with grip that are hot enough to take out to dinner? Sold. My Sorel Hoonah boots (shown above) retail fro $150 but check out the online store for this style as well as many other styles and options. The boots for men are especially handsome and considering we’re expecting a rather nasty winter with sub-zero temperatures and record snowfall to match, it’s time to look at investing in a fashion-forward but functional footwear solution. I believe I’ve found my winter boots for 2010 in my fabulous Sorels.